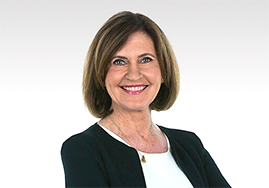 Jenny is a qualified executive coach, facilitator and workforce planner who has empowered countless professionals across the corporate, government, and not-for-profit sectors. She brings years of experience and an objective point of view to any business scenario, offering strategic advice, support, and the tools to nurture change, be it on an individual or organisation-wide level. The key to Jenny’s success, and that of her clients’, is finding the balance between commercial goals and our innate human desire to achieve. Jenny is skilled at pinpointing the elements that fulfil both ambitions, and in creating the kind of environment each needs to flourish and thrive. Jenny works side-by-side with her clients to understand their workforce challenges and develop strategies that will set them up for long-term success. Regardless of the industry, individual wants and organisational needs, the core of workforce planning and coaching remains the same – people. People influence culture, people execute change, and great leaders bring out the best in people. Jenny’s ability to connect with aspiring executives or entire teams is what sets her apart as a professional and a person.